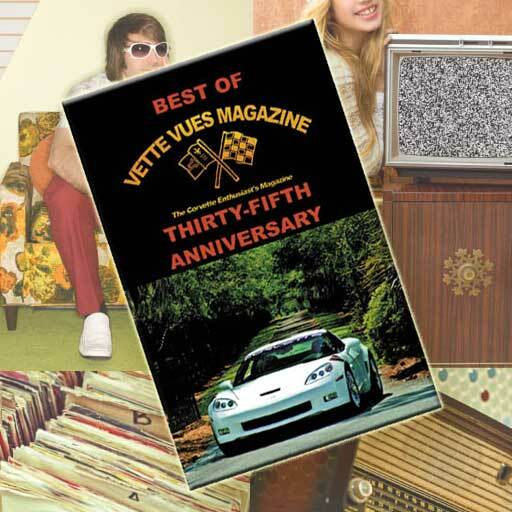 Walworth, Wis. – July 27, 2016 – The event will be headlined by a spectacular array of supercars and sports cars from makers such as Ferrari, Porsche, Lamborghini, McLaren, Ford, Bugatti and Aston Martin. 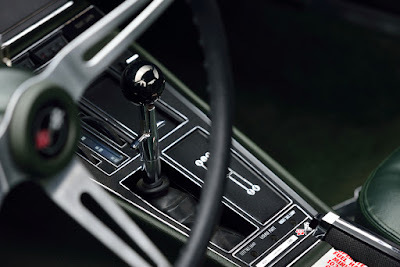 Classics from such renowned automotive marques as Duesenberg, Packard and Peugeot will also highlight the sale, while a select array of superbly turned out racing cars will be sprinkled throughout. 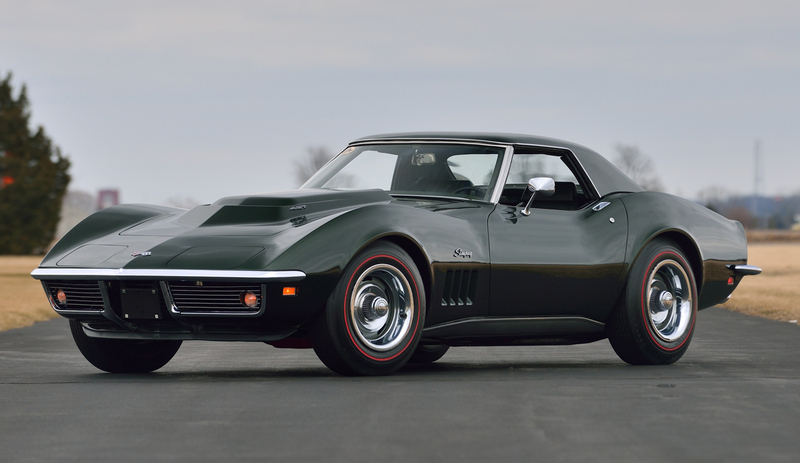 But that’s not all … a tremendous selection of pony cars, muscle cars and Corvettes will make up some of the 600 cars on offer, while the auction boasts 50 of the finest collectible motorcycles from around the world. 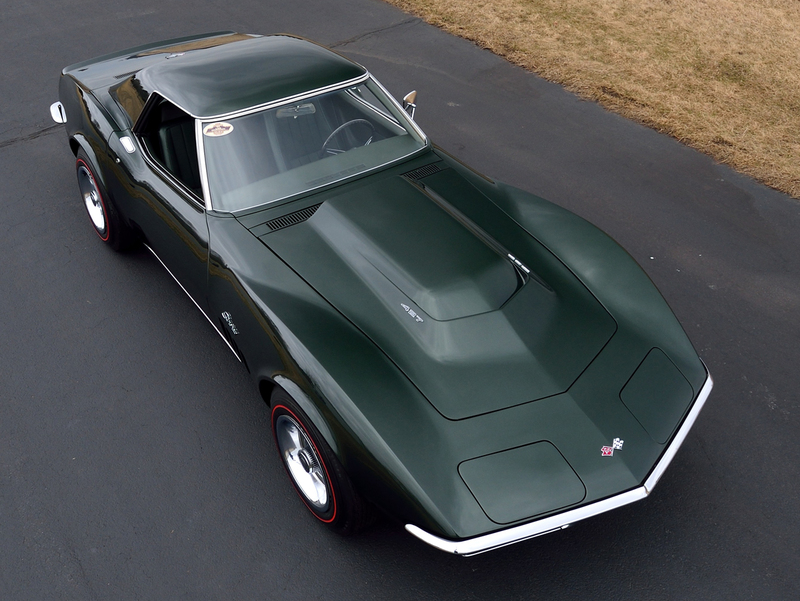 It’s one of the finest selections Mecum Auctions has ever offered in Monterey. 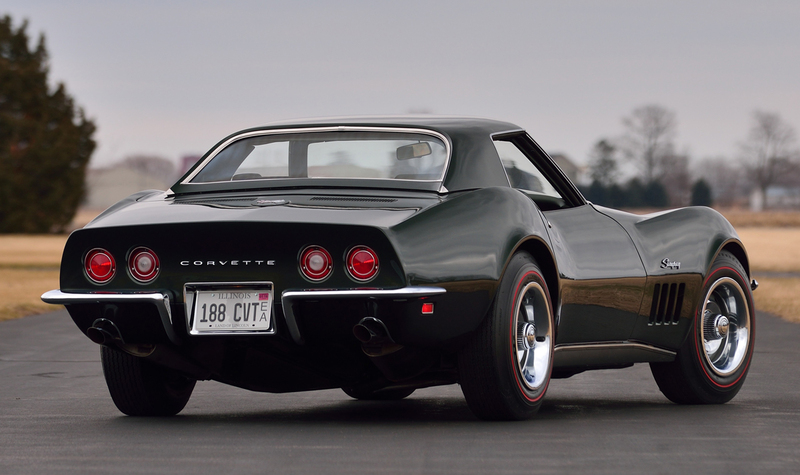 The L88 Corvette entered its third year of production in 1969 having established itself as all conquering in both SCCA and FIA competition. Rated at a deliberately misleading 430 horsepower at well below its actual redline, the L88 pumped out an all-too-real 560 at full song and was as potent and race-ready as anything rumbling out of Detroit at the time. 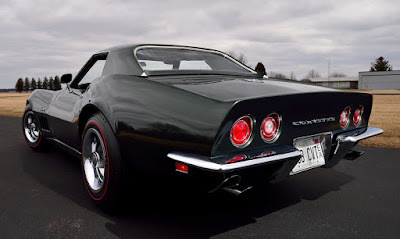 Proven in the heat of international competition as the most dominant Corvette ever, the L88 was still under the tight production reins imposed by GM management at its inception, and only 116 were built. Among the final year L88 Corvettes was this unusually handsome convertible, now well-known in the Corvette community, which was delivered new to its first owner in Leslie, Michigan. 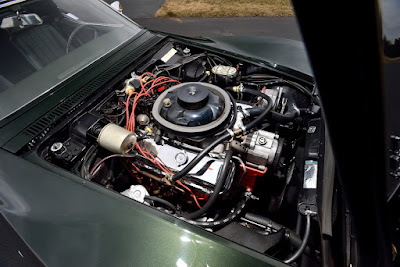 Its equipment included the race-ready L88 427/430 HP big block with first-design closed chamber aluminum heads, Muncie M22 “Rock Crusher” close ratio 4-speed and 4.56 Positraction rear end, K66 transistor ignition and J56 heavy duty brakes. In addition, the owner chose the rare combination of Fathom Green paint with a matching Dark Green interior and a Black soft top, matching Green auxiliary hard top, clear glass, Rally wheels and Redline tires. 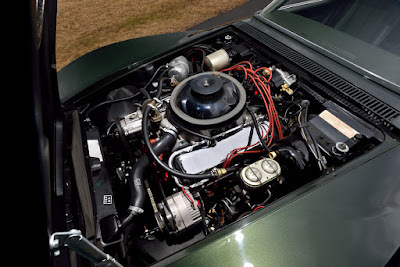 It is of particular interest that the car was also fitted with a heater, normally a deleted feature on L88 Corvettes. 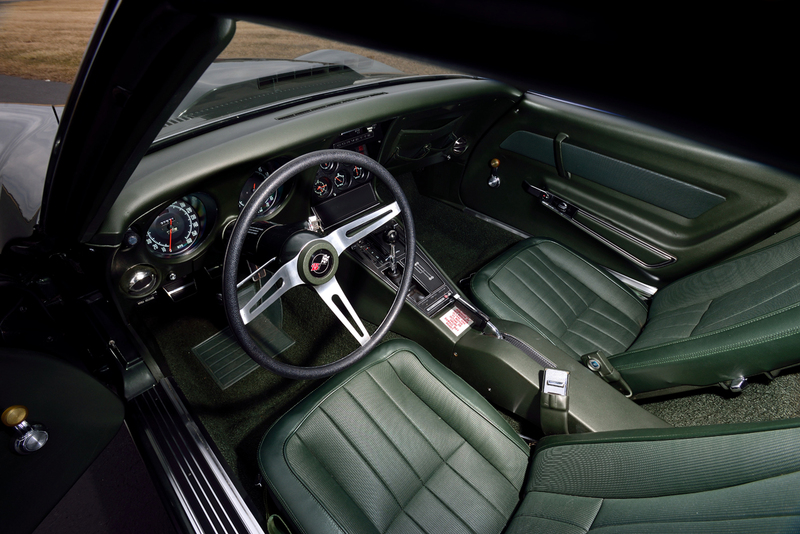 In the spring of 1969, the owner and his new L88 convertible embarked on a 6,000 mile round trip to Alaska. Upon his return, he sold the car to its second owner, who campaigned it with considerable success as a drag racer until placing it in storage in 1975. 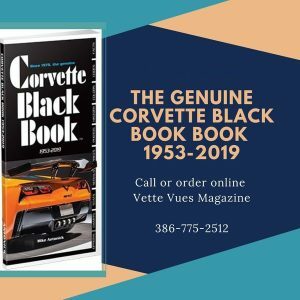 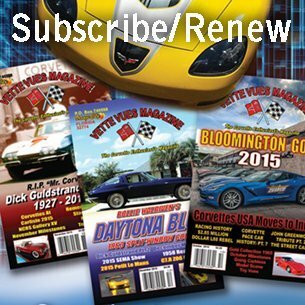 In 1986 highly regarded Corvette collector Vance Shappley purchased the car, immediately commencing a painstaking restoration that was completed in 1988. Shappley would care for the L88 for almost 30 years, during which time it was included in the 1988 and 2008 Bloomington Gold Special Collection, the original Earthquake 88 and 2008 L88 Invasion. Documentation includes original tank sticker verified by NCRS historic document service, Protect-O-Plate and owner’s manual.